Ah, it never amazing me the things you can learn from watching birds. 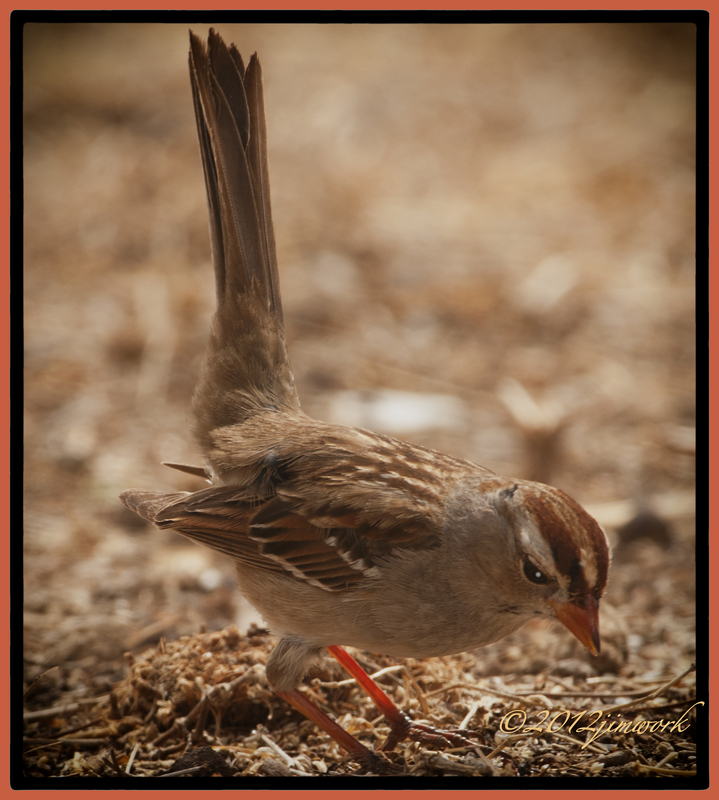 This female white-crowned sparrow seems to be holding a new yoga pose, downward facing sparrow. Great form! Excellent post! Have a great day. OH MY, that is HILARIOUS. Downward-Facing Sparrow. Never mind that though, excellent shot.